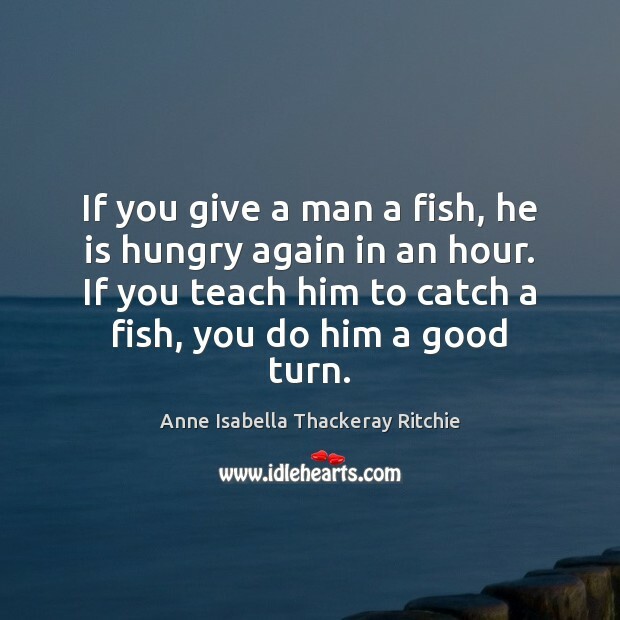 Enjoy the best inspirational, motivational, positive, funny and famous quotes by Anne Isabella Thackeray Ritchie. Use words and picture quotations to push forward and inspire you keep going in life! Some very dull and sad people have genius though the world may not count it as such; a genius for love, or for patience, or for prayer, maybe. 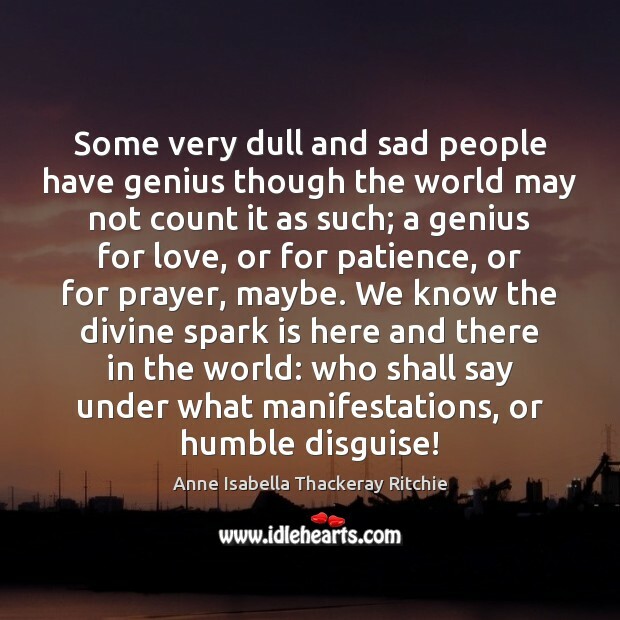 We know the divine spark is here and there in the world: who shall say under what manifestations, or humble disguise! People seem to think themselves in some ways superior to heaven itself, when they complain of the sorrow and want round about them. 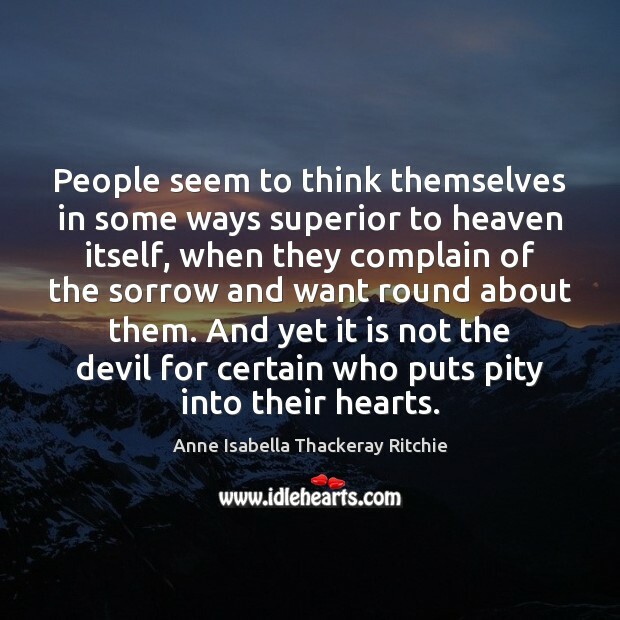 And yet it is not the devil for certain who puts pity into their hearts.